elec calc™ EP offers a graphical export feature of the installation synoptic in the DWG format, which can easily be customized. The user can modify the elements’ representation, export all or part of the installation in PDF format thanks to the zoom functions. 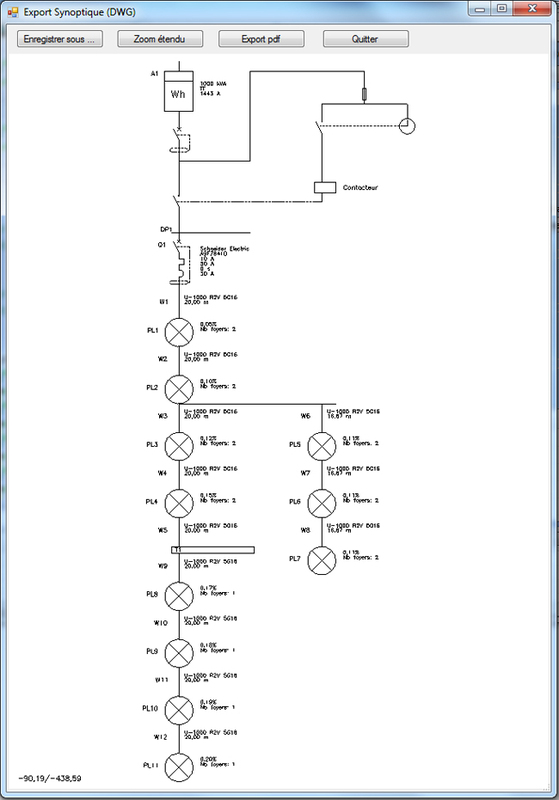 This synoptic scheme can be then added to the calculation report for the installation validation. You can thus provide a representation of the panel sizing for the street lighting. it can be exported directly to the PDF format for simple exchange with customers or other departments involved in the project.